HUNTING DOGS as their name suggests, are simply those dogs that have been bred - and trained - to assist human hunters in their activities. 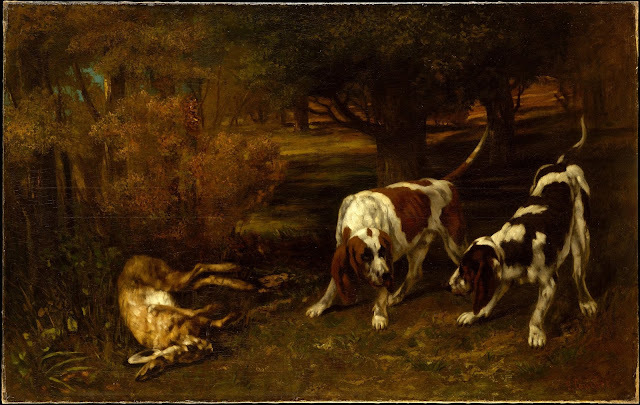 Originally, these dogs were responsible, at least partially, for bringing home the meat for the family's dinner and, without them, the job of hunting was much more difficult. 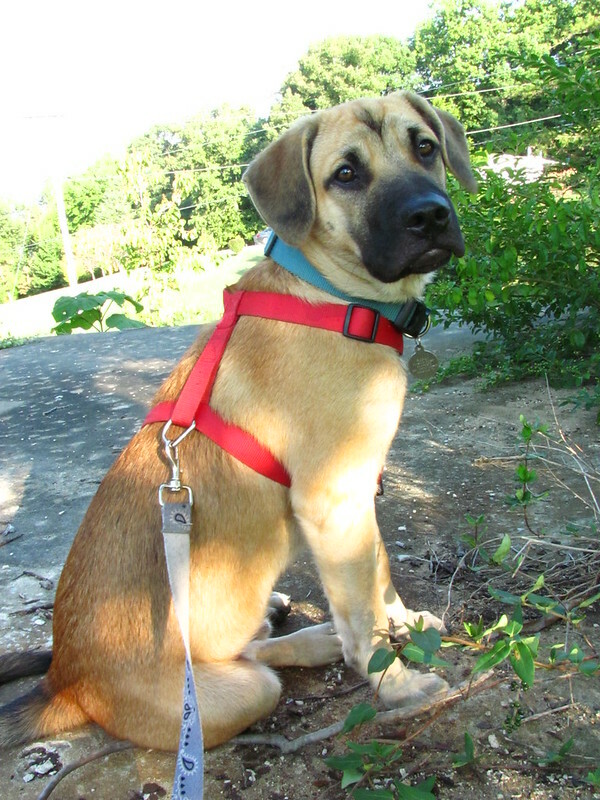 The dogs assist the human hunter to scent and track, retrieve, flush, point or even chase down the game. The skills developed will be specific to each breed, depending on the type of game that the dog has been trained to hunt, and the hunting style used with that particular type of game. 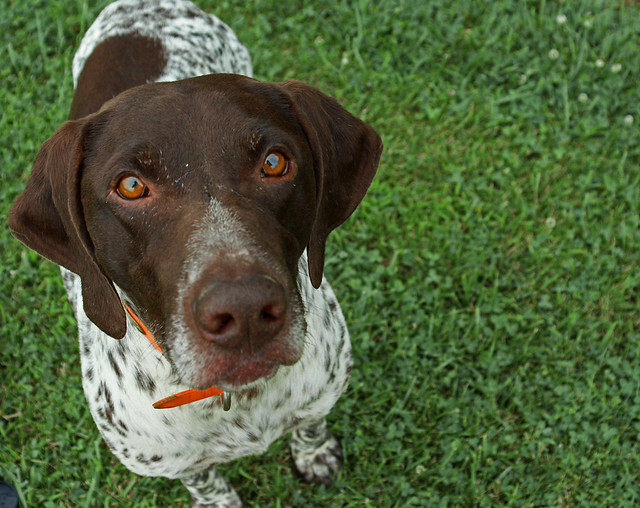 Hunting dogs love to be outdoors and work with their owners. They usually become noticeably excited and active when they notice that preparations for the hunt are getting underway. 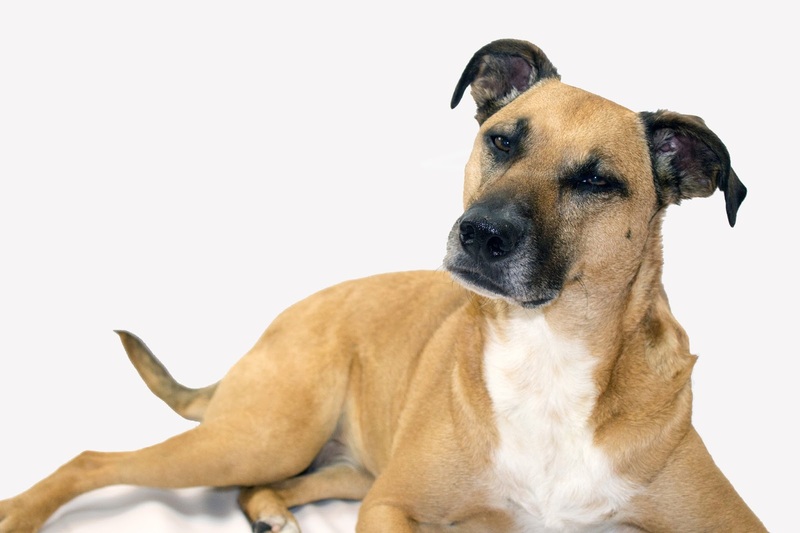 Since each breed of hunting dog has unique skills and attributes, we shall look at each general type of hunting dog separately. It is important to remember that hunting dogs are not aggressive by nature and are actually some of the best natured and calm mannered of all the breeds of dogs. Some hounds are versatile and can track using both sight and scent. The name "water dogs" is the original name for a large group of hunting dog breeds that are now often referred to as gun dogs. These dogs were bred to go into the water and retrieve or bring back game, to flush and point, and to show where waterfowl may be located on the shore areas in rushes and weeds. Some of them are also used for on-land game bird shooting, a type of hunting in which setters and pointers have become specialized. These dog breeds are very patient and will wait, without moving, for long periods of time until they are finally told to do so by the hunter. They are also used to swimming great distances into the water and back to retrieve a duck or goose without damaging the bird or even piercing the skin with their teeth. It is interesting to note that the standard Poodle is an excellent gun and hunting dog, although nowadays it is rarely used as a hunting dog anymore. 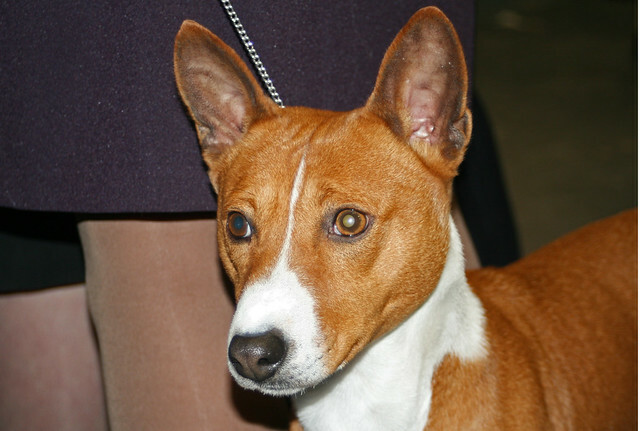 However, there are many other types of terriers, all with unique coat colors and characteristics. If you are looking for a hunting dog, you need to bear in mind, first, exactly which breed is best suited to your requirements. 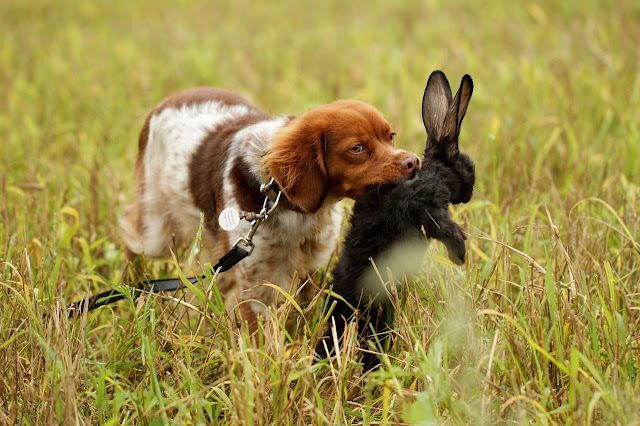 As a hunter, be sure to research each breed and talk to dog owners to find which will most closely match your needs. However, remember that you needn't be a hunter to own one of these dogs - hunting dogs can make excellent, good-natured companions. If that is the case, simply make sure that the breed you choose fits in with your present - and projected lifestyle.